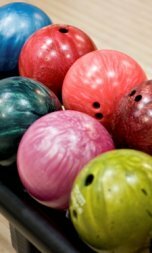 Deep Creek Lanes, LLC, is an entertainment investment company. The focus of the company is to identify under-served small towns and resort areas, and provide a facility which can serve as a family entertainment center. The first facility is The Alley, in Oakland, Maryland. 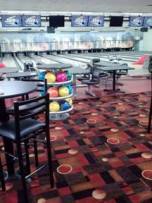 A 40 year old traditional bowling center, Par Matt Lanes, will be renovated in the spring of 2014. The new model will shift from the traditional center, to a family entertainment center, with added entertainment-recreation features. Party rooms will be added, to serve as private party space, as well as gathering space for music jam nights, family game nights, dance space, etc. One of the features of a family entertainment center is also the focus on providing more in the way of food and beverage in the facility than the typical bowling alley. Planning for the second facility in McHenry, Maryland is running concurrently to the renovation in the south side of the county. It will also be a family entertainment center, slightly larger than the Oakland location. 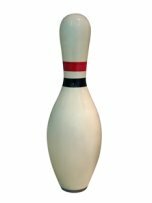 It will also center it's entertainment and recreation around bowling, in addition to pool, darts, bocce and more. The location of the property for the development of this center is on Deep Creek Drive, just south of the split of Rte 219. It faces Cobblestone Hair Salon and the Quality Inn, on the north side of McHenry, near Wisp.